Refill's for Daler Rowney Stay Wet Palettet. 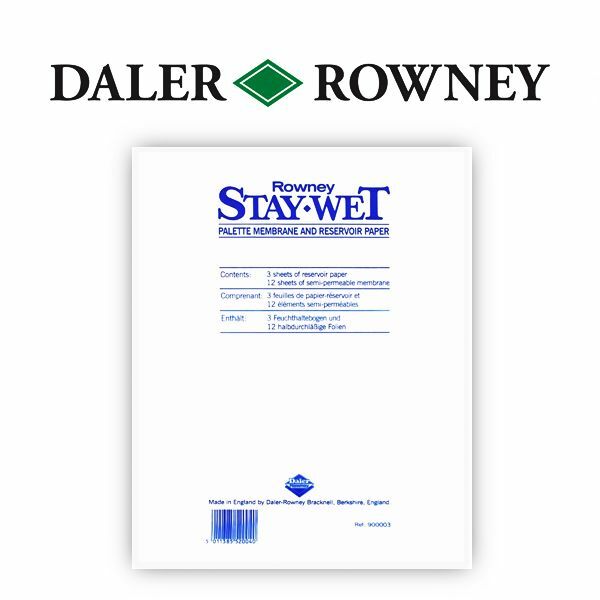 Daler Rowney Stay Wet Palettet Refill packs contain 3 sheets of reservoir paper and 12 sheets of membrane paper. The Daler Rowney Stay Wet Palette is essential for all acrylic painters.It keeps acrylic paint workable for days.